Frontline first aid training offer workplace compliant first aid and health and safety courses in Scunthorpe and all surrounding areas. They also offer online training courses, which are all CPD certified. 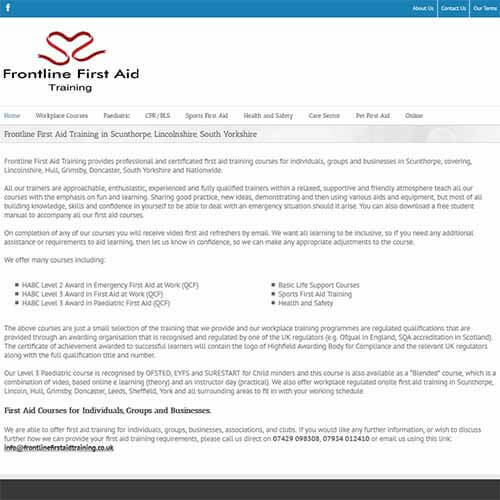 Onsite first aid training is also available at a time convenient to you and to visit their website please follow this link: First Aid Training Scunthorpe.